The Lord warned us a year ago. When the Lord gave me a vision of a female Supreme Court Justice on 05.05.2010, I knew it was a warning. 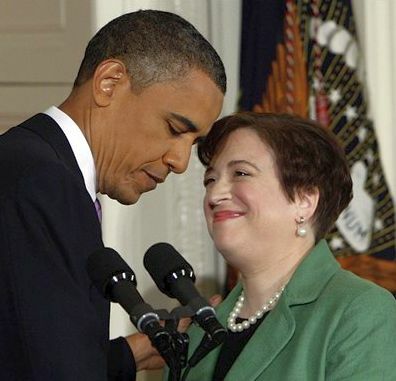 Five days later, 05.10.2010, President Obama announced that his nominee to the Supreme Court was Elena Kagan, and three months to the day of the vision, 08.05.2010, the U.S. Senate confirmed her nomination. Kagan’s decision to not recuse herself from this decision pretty much signals that she has no qualms over the obvious conflict of interest and will not recuse herself from any deliberations concerning ObamaCare. This is in spite of the fact that as President Obama’s Solicitor General, she gave the administration legal advice on crafting and defending the Health-Care bill. You can read the vision and the confirming revelations concerning Elena Kagan at “05.05.2010 Vision of a Supreme Court Justice“. God warned us, we saw who she is, and we saw it coming. The Lord is FAITHFUL. He does not want us to be ignorant. He does not want us to be deceived.